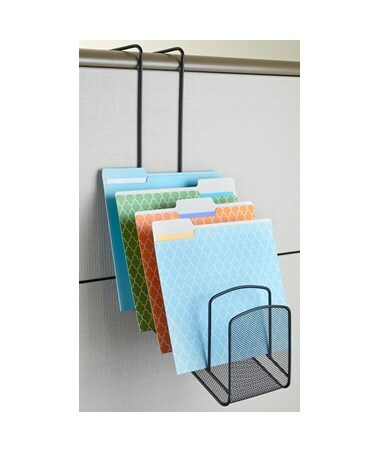 The Safco Onyx 5-Pocket Waterfall Panel Organizer is a great tool for saving desk space while keeping files organized. It features five compartments that are in a waterfall design for a more organized storage of documents. 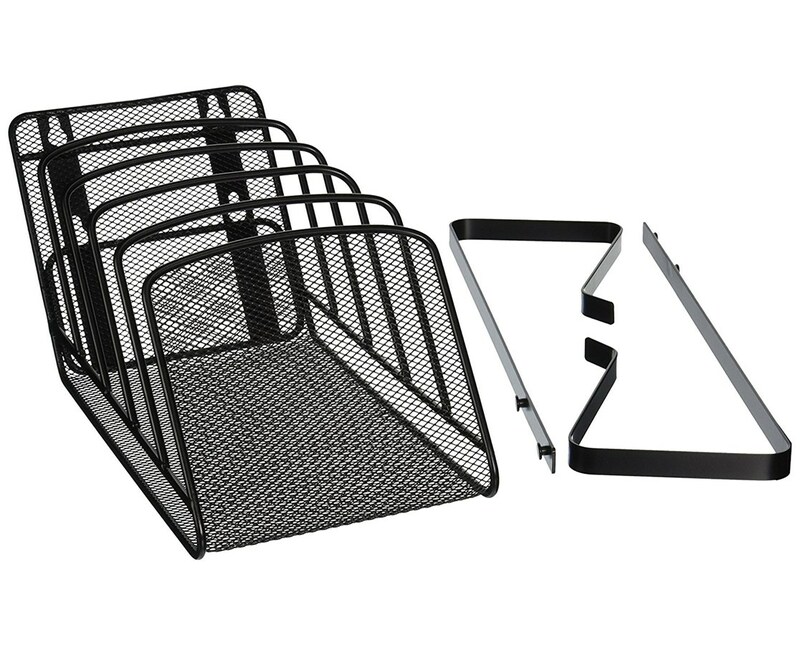 It is built to easily hung over panels that are up to four-inches thick or be mounted on walls. 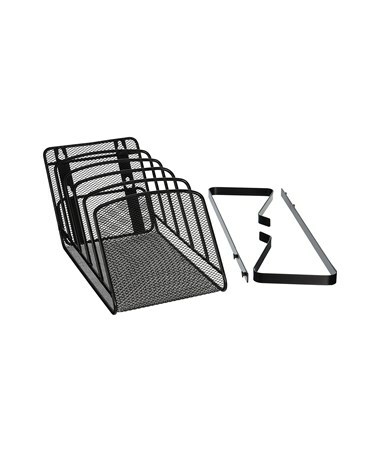 Brackets are also provided to allow other Onyx panel organizers to be connected or ganged with it. 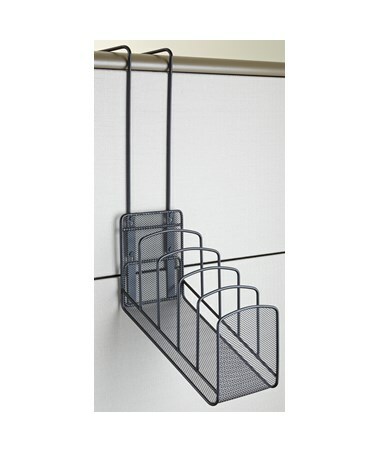 This file organizer is made of steel rods and steel mesh with a powder coat finish. It is also safe for indoor use for GREENGUARD certified.